As this is the last day of the year, I'm going to take a look back at my blog over the last year (yea, I started writing this post a couple of weeks ago). I enjoyed my year in reading, but suspect I'll slow the pace in 2010. Several months ago I started getting a shooting pain in my shoulder/arm when I stretched and reached toward extremes of range of motion. It didn't get worse, but didn't get better either and finally I decided to see my doctor about it, more from a sense of not wanting to be sorry later that I didn't treat something while it was treatable than because it was bothering me all that much. It still didn't get better and she sent me to an orthopedist, who sent me for physical therapy. Luckily, whether it was the PT, or because enough time passed, I improved and was discharged after three one-hour sessions. The physical therapist was very nice and I have no complaints about her work. She saw me three times, for a little less than an hour each time. She started by applying heat to my shoulder. She then instructed me in some exercises and watched me do them. When I finished the exercises, she iced my shoulder and then applied some patch that used electrical current to push anti-inflammatory medicine into the muscle. While she was seeing me, she also had another patient there, and she would alternate her attention between us. I had no problem with that either; it seemed a more efficient use of her time than sitting there watching me read a magazine while my shoulder warmed or cooled, or counting while I did exercises I already knew how to do. I paid a small co-payment on my way into the office, and my insurance was billed for the rest. While I didn't know the exact amount, I figured that it would probably be in the $100 range. Since she had another patient there at the same time that would give her a $200/hr billing rate, which is more than some lawyers in my office charge. A week or so ago I got the bill. It was over $1300, or more than $400 per session. Today I got the EOB from my insurance company. Between my co-pay and what they paid, the total actually paid was......a little over $300.00. I just don't get medical math. I can't think of any other business that would send out a bill for $1,300, get paid $300.00 and be happy with that. Please join me and other bloggers in the Advent Calendar put together by Catholic Roundup. I've enjoyed several of Deborah Bedford's books, and my friend Renee was kind enough to send me this one after she read it. If you like my blog, try hers, she reads similar books and we often share the same opinion of books we both read. A Rose by the Door is the story of two women. Bea was the mother of Nathan, and the book opens with the police showing up at her door to tell her he is dead/ Gemma was Nathan's wife. Since Nathan had left home years ago, angry at his mother, they had never met until Gemma showed up at Bea's door after Nathan's death. Gemma has a daughter who is not Nathan's son. This is the story of the relationship that develops between the women and the story of Bea's faith. A Rose by the Door is a beautiful well-written book. It is Christian fiction and has the stereotypical "salvation" scene. Bea's relationship with God is a major part of the story as well. Still, I think it is a story that someone without Christian beliefs could enjoy. About the Book: When single mother Priscilla Lynn Macy learns she's having another child unexpectedly, she packs the family into the car to escape. Eight-year-old Janie and Rainey Dae, her seventeen-year-old sister with special needs, embark on the last family vacation they'll ever take with Poppy and Grandma Mona in the back seat. My Thoughts: Usually when I read a book I sit down almost immediately to write a review--a short summary of the plot along with my thoughts about the book--did I like it? Why? Why not? I couldn't do that with this book. Every time I thought about a summary, I wrote spoilers. While reading the book I moved from loving it, to not, and then back loving it. So, what should I say? It is a book far more about characters than plot. It has a strong pro-life message. It is fiction, but if you believe that what happened in the novel really could happen, then you espouse a theology incompatible with the beliefs of most Christians--but as a literary work, the story does work, it is effective. The author, in a note at the end of the book does tell the reader she used literary license and that she doesn't believe the story could really happen. The book is Christian fiction and despite what I said in the previous sentence, it does promote traditional Christian values, particularly the value of life. The story is told in the voices of Janie, who is eight and a half, and Mona, who is her grandmother. Sometimes I needed to check the beginning of the chapter to see who was talking, but again, on the whole, the technique worked. So, would I recommend the book? Yes. Upon further reflection, I loved it, and I think my readers will too. Thanks to the Thomas Nelson blogger program for providing a complimentary review copy. You can read other reviews here. Merry Christmas and welcome to another edition of Sunday Snippets--A Catholic Carnival. 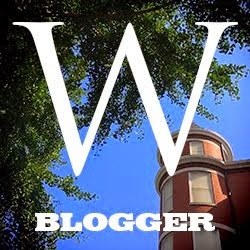 We are a group of bloggers who gather once each week to share out best posts. We are all Catholic and blog at least somewhat about Catholic things; some do so exclusively, others only periodically. All are welcome to participate here. To join in the fun, go to your blog and create a post titled Sunday Snippets--A Catholic Carnival. In that post describe and link to any posts you want to share with the rest of us. Also put in a link to this post. Then come back here, and sign Mr. Linky and give us a link to your post. Finally, go visit other people's posts, and leave comments! Some folks who don't post often have asked if they could, rather than creating a special "Sunday Snippets" post, just link their original post to Mr. Linky. That's ok, if your original post includes a link back here; since the idea is to share our posts and readers with each other. Remember, if you add your link to Mr. Linky, you should have a post sending folks to this post. Encourage your readers to join us too. If you want a weekly reminder to post, please subscribe to our yahoogroup. I haven't blogged much this week, but do invite you to enjoy my little lamb a/k/a my five year old. For once, I actually enjoyed the Children's Mass. See also my post on Epiphany. Add your link to Mr. Linky, and have a blessed New Year! I'm going to be lazy. Instead of rewriting lat year's post, I'm just going to link to it. Given that we have a young child in the family, the Children's Mass is a given here on Christmas Eve--but I'll let you in on a secret--I generally hate it. Oh, I've had at least my share of turns to be proud Mom as my kids have been in the pageant, or read, or otherwise done something at the Children's Mass, but still, the church is crowded, the atmosphere often less than reverent, and you have to be there so early or you end up standing in the back. I don't know exactly what was different about this year, but I really felt like I'd been to church when it was over, rather than to the playground. The pageant took the place of the Gospel reading, and except for a few words by Father, the homily as well. The story was read from the ambo, and the kids in costume came up one of the aisles and gathered around the manger. With each group that came up (Mary & Joseph, shepherds & sheep, angels, and wise men) a different carol was sung by the choir and folks were asked to join in. After everyone was up there, they sang Happy Birthday to Jesus and then, to the tune of Jingle Bells, something like Ring, Ring, Ring the Bells....and tell the world that Jesus Christ is Born! The star of the photos here is my five year old. She was one of the lambs. After mass we went home. I had dinner in the crock-pot so got home and put dinner on the table. We'll open gifts from family tonite, and the gifts from Santa tomorrow morning. We'll head to my family tomorrow where my kids will get too much stuff. I haven't done Mailbox Monday in a while, but thought I'd jump back in the fray this week. The Choice which is an Amish novel, is for a Revel blog tour. I enjoyed it, and it was a little different than many of the Amish novels I've read. It is by the same author as Amish Peace , which I read a few months ago. For a First Wildcard tour I received The Courteous Cad (Miss Pickworth) . Heart by Beth Pattillo. You can read my review here. Check out Mailbox Monday on Marcia's blog to see what other book bloggers got this week! I must be the only book blogger out there who has never read anything by Jane Austen. I've read enough about her to know that Mr. Darcy was one of her romantic heroes but before I read this book I couldn't have told you in which of her books he appeared, or whether he was a good guy or a bad guy. When Phenix & Phenix offered me a complimentary review copy, I accepted because I recognized the author's name and really enjoyed her Sweetgum books, not because I was a huge Austen fan who could hardly wait to read more about her characters. The main character in this book is Claire, a woman in her thirties who has spent her life doing for others. Her parents died when she was eighteen and she got a job to support her sister, rather than allowing her sister to be put in the care of someone else. Of course, that meant that she didn't get to go to college. Her sister did go, became a teacher, married and had two kids. At the beginning of this book she was pregnant with the third. Her sister had planned to go to Oxford (that's the university in England) that summer to present a paper about Pride and Prejudice . Claire ends up going in her place. While there she meets a man who reminds her of Mr. Darcy. She also meets a woman who claims to have the lost original draft of Pride and Prejudice . This woman feeds her the draft chapter by chapter, and we get to read it along with Claire. Since I've never read Pride and Prejudice I'm sure I didn't "get" the differences in the same way a fan would, however Claire does explain the differences between this "original" and the final. I've heard it said that the difference in a good book and a great one is that the good ones entertain us while the great ones, along with entertaining is, cause us to learn something about ourselves. Hearing the other people in her seminar present papers on Pride and Prejudice , reading the "original" and talking to the custodian thereof, as well as things that happen to her while she is there, cause Claire to take a look at her life, where she is, how she got there, and where she wants to go from there. I really enjoyed taking this journey with her and highly recommend Mr. Darcy Broke My Heart . It may not have the long-term appeal of Pride and Prejudice but it did get me thinking about some aspects of my life, and it was a good entertaining read. Well, they say all good things must end, and unfortunately tonite a very good thing ended; the New Orleans Saints' hopes for an undefeated season. As they say though, wait until next time! Hi, and welcome to another edition of Sunday Snippets--A Catholic Carnival. We are a group of bloggers who gather once each week to share out best posts. We are all Catholic and blog at least somewhat about Catholic things; some do so exclusively, others only periodically. All are welcome to participate here. To join in the fun, go to your blog and create a post titled Sunday Snippets--A Catholic Carnival. In that post describe and link to any posts you want to share with the rest of us. Also put in a link to this post. Then come back here, and sign Mr. Linky and give us a link to your post. Finally, go visit other people's posts, and leave comments! Some folks who don't post often have asked if they could, rather than creating a special "Sunday Snippets" post, just link their original post to Mr. Linky. That's ok, if your original post includes a link back here; since the idea is to share our posts and readers with each other. Encourage your readers to join us too. I do a semi-regular feature called "From My Reader" in which I link to posts that catch my eye while I am going through my Google Reader. A couple of them this week were about things Catholic. I read to my five year old on a regular basis but rarely review kids books unless they are sent to me for that purpose. However, one she brought home from school was good enough to share, so I did. It is a Christmas ABC book. A novel about a haunted rectory may be pushing the definition of "Catholic" however, I enjoyed the book and thought you might too. The author, Katherine Valentine, has a new book featured on the Catholic Mom.com website. May you and yours have a very merry and blessed Christmas! Apples4theteacher appears to be a site designed for teachers and has coloring sheets, poems, songs and more. It looks like there is quite a bit here, but you have to hunt a little. Coloring Book Fun has coloring pages for a lot of things, including religious Christmas pages. Resources for Catholic Educators links to coloring pages too. A Google search for Christmas coloring sheets will give you lots of options, but check them out before turning the kids loose--some are anti-Catholic. CatholicMom has lots of ideas to keep the little ones busy. Catholic Culture gives us Christmas morning prayers and evening prayers. Catechetical Resources, from the publishers of the Faith and Life religion books give us Christmas activities for the brain as well as fun things to do. Check your child's grade on Sadlier's website and find a Christmas activity for his/her age group. Preschool kids will like this site. Domestic Church has several Christmas activities. The ladies over at Catholic Cuisine are bound to have something good to cook for Christmas. Christian Resources has a section on Christmas Activities for kids. Since the site isn't Catholic, parents should review it before setting the little ones loose, but some are really cute. Christian Crafters is another non-Catholic site. This one has active games with Christmas themes. Of course the most necessary part of celebrating Christmas is celebrating Sunday mass with the community. The web gives us lots of resources to help children understand the weekly readings. The publishers of the Faith First religion texts have weekly summaries, discussion topics and activities based on the readings. Sadlier has a similar site. May you and yours enjoy a very merry Christmas and Blessed New Year. I found another book for my keeper shelf. The Basic Book of Digital Photography is a great reference book for any digital photographer (except perhaps a professional). It covers everything from selecting a camera, to how a digital camera works, how to set up shots, how (and why) to manipulate all those buttons on the camera, what accessories to buy, photo editing software and printing. While some of the advise seems a bit on the obvious side, the book is laid out with subheadings that make skimming for the information you need (and skipping what you already know) easy. The writing is clear without being dumbed-down and, unlike some other books I've read, this one doesn't assume you have professional style equipment, nor does it suggest that you should. I had planned on accompanying this post with a few pointers from the book, along with some photos I took showing the auto mode vs. setting it as told, but my five year old has been playing with my camera and none of the menus work, so all I'd do is change from one pre-set mode to another. Oh well, at least it still takes good pictures. Thanks again to the folks at FSB for sending me a complimentary review copy. 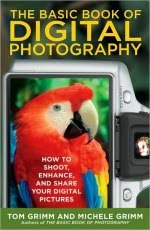 You can buy one at Amazon.com: The Basic Book of Digital Photography: How to Shoot, Enhance, and Share Your Digital Pictures . To get an idea of the writing style in the book, read the articles I posted on Cell Phone Photography and Ten Top Tips for Dynamite Digital Photography. I enjoy cooking when I have the time, but all too often, I just don't have the time. I also have to admit that I don't like having to wash every dish in the kitchen after I get done cooking. When Ciao Italia Five Ingredient Favorites became available as a review book, I requested one, figuring "How much mess can you make with only five ingredients?" The first recipe I tried was for a lemon chicken. The five ingredients were chicken, lemons, parsley, olive oil, and oregano. The author, Mary Ann Espositio, doesn't count salt and pepper as ingredients, but most recipes call for them. I enjoyed the lemon chicken as did my husband, but the kids said it tasted too much like lemon (go figure). The book itself is visually attractive, with full-color illustrations. However, there are far more recipes for which there are no photographs, than those for which there are. The pages with recipes have a stripe on the outside edge which contains the ingredient list and then the instructions are on the inside of the page. Sections include Antipasti, Soups, Pasta, Sauces, Meat and Poultry, Fish, Vegetables, Salads, Sweets and Five-Course Meals. Just about everyone I know has a recipe for spaghetti alla carbonara. This simple but heavenly dish is said to get its name from the coal miners who could make it easily with readily available ingredients: eggs, cheese, and guanciale, cured and salted pig's jowl and cheeks. A likely story, but the fact is that this dish is easy to make, superb when made correctly, and a completely balanced meal. The eggs should be of the highest quality and at room temperature so they will mix well with the spaghetti. The cheese should be none other than the true Parmigiano-Reggiano, or pecorino Romano. Today, the more readily available pancetta is used in place of guanciale. And a pepper mill is absolutely essential for the right grind of black pepper. Heat the olive oil in a small sauté pan, stir in the pancetta, and cook until crispy. Set aside the pancetta, still in the pan, and keep it warm. Cook the spaghetti in 4 quarts of rapidly boiling salted water. Al dente means still firm to the bite but no uncooked flour is visible in the center when a strand of the spaghetti is broken in half. Drain the spaghetti, reserving 2 tablespoons of the water. Immediately return the spaghetti to the pot and, keeping the heat very low, rapidly stir in the eggs, reserved water, and half the cheese. Toss to combine. Add the reserved pancetta and any pan drippings. Stir well. Add a generous grinding of coarse black pepper. Transfer the pasta to a platter and sprinkle it with the remaining cheese. Serve immediately. Can you make a better-tasting meatball? Absolutely! Just stuff them with a creamy, melting cheese like Italian fontina! This may be a slightly unconventional way to make them, but the taste elevates the meatballs to elegant; they can be served alone or in a tomato sauce. To achieve great flavor, use a combination of ground chuck and ground sirloin. The fat in ground chuck is essential for moistness while the sirloin provides great texture. Put the bread crumbs in a medium bowl and pour the cream over them. Mix with a fork; the mixture will not be soupy. Add the ground chuck, sirloin, and salt and pepper. Mix with a fork or your hands just to combine the ingredients. Divide the mixture into 8 equal pieces and roll each in the palms of your hands to make compact 2½-inch balls. Insert your thumb into the middle of each meatball and push in a piece of cheese. Close the meatball, encasing the cheese, and smooth the top. Place the meatballs on a rimmed, nonstick baking sheet. Bake in the preheated oven for 20 to 25 minutes, or until they are nicely browned. Serve hot as is, or add them to a tomato sauce and serve them with pasta or as a second course. 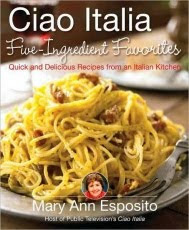 The above is an excerpt from the book Ciao Italia Five-Ingredient Favorites: Quick and Delicious Recipes from an Italian Kitchen by Mary Ann Esposito. The above excerpt is a digitally scanned reproduction of text from print. Although this excerpt has been proofread, occasional errors may appear due to the scanning process. Please refer to the finished book for accuracy. A prolific writer, Loree Lough has more than seventy-one books, sixty-three short stories, and 2,500 articles in print. Her stories have earned dozens of industry and Reader’s Choice awards. A frequent guest speaker for writers’ organizations, book clubs, private and government institutions, corporations, college and high school writing programs, and more, Loree has encouraged thousands with her comedic approach to “learned-the-hard-way” lessons about the craft and industry. Loree and her husband split their time between Baltimore suburbs and a cabin in the Allegheny Mountains. She stepped up to the man who’d been more of a big brother than an employer to her these past years. “Wouldn’t mind a bit.” And to think that during her long sea voyage from Ireland to Virginia, she’d envisioned him a brute and a monster! Her peripheral vision told her he hadn’t budged as she reached the next landing. Bridget would not allow herself to look at him. What, and give him the satisfaction of knowing an Englishman had humiliated yet another Irishman? Not in a million Sundays! Bridget hurried up the remaining stairs and set her mind on seeing what, if anything, Drewry might need, because in no time at all, she’d become Mrs. Chase Auburn. No doubt she’d be at least as fidgety as her bridegroom. Funny, she thought, how folks tend to pair off at weddings. Most of the servants had spouses to accompany them to the shindig. All but Bridget and the hired hands’ children. More’s the pity the stableman has the blood of those thievin’ English flowin’ in his veins, she thought, ’cause he’d make a right handsome companion…. Bridget watched as the servants and hired hands of Magnolia Grange raced around, putting the finishing touches on the wedding preparations. How handsome they all looked dressed in their regal best, thanks to Chase Auburn’s generosity. In town, the maid, the housekeeper, the foreman, and the field hands had quickly discovered that every Richmond shopkeeper had been instructed to put the suits, gowns, shoes, and baubles chosen by Auburn employees on Chase’s personal account. At first, they’d shied away from quality materials, picking through the bins for dresses of cotton and shirts of muslin. Until Chase had gotten wind of their frugality, that is. “You’ll not attend my wedding dressed like that!” he’d gently admonished them, snatching a pair of dungarees from Claib’s hands. Holding some gabardine trousers in front of the tall, thin man, he’d said, “You’ve earned this.” Then, looking at each employee in turn, he had said, “You’ve all earned this. Why, Magnolia Grange wouldn’t be what it is without you!” With that, he’d disappeared into the bustling Richmond street. Now, Bridget stepped into the full-skirted gown she’d chosen that day at Miss Dalia’s Dress Shop. Ma’s cameo would have looked lovely at the throat, she thought, buttoning its high, lace-trimmed collar. But the pin had long ago been handed over to the ruthless landlord Conyngham when he’d raised the rent yet again. Slipping into slippers made from fabric the same shade of pink as the dress, Bridget recalled that in one of her mother’s leather-bound volumes—before Conyngham had demanded those, too—she’d seen a pen-and-ink sketch of a ballerina. According to the book, ballet originated in Renaissance Italy, where, as the nobility began to see themselves as superior to the peasantry, they rejected the robust and earthy steps of traditional dance. Emulating the slower, statelier movements of the ballerinas, they believed, accentuated their own elegance. Her arms forming a graceful circle over her head, the beautiful lady’s torso had curved gently to the right. Her dark hair had been pulled back tightly from her face, and on her head had been a tiny, sparkling crown. Long, shapely legs had peeked out from beneath a gauzy, knee-length gown, and on her feet had been satin slippers. Smiling at the memory, Bridget stood at the mirror. Gathering her cinnamony hair atop her head, she secured it with a wide ribbon that matched her shoes. Lifting her skirt, she stuck out her right foot and, looking about to see if she were truly alone, grinned as mischief danced in her eyes. How long had it been since she’d struck this particular ballerina pose? Five years? Six? Then, feeling both giddy and girlish, Bridget covered her face with both hands and giggled. Ye’d better count yer blessin’s that nobody can see you, Bridget McKenna, for they’d cart y’off to the loony bin, to be sure! The big grandfather clock in the hall began counting out the hour. Goodness gracious me, she thought, hurrying to the door, how can it be midday already? And with only an hour till the weddin’! The curious glances exchanged by the bride and housekeeper told Bridget that her interruption had stunned them. True, she’d never been overly chatty, but lately…. Several months ago, Mr. Auburn had walked into the kitchen as she’d been ciphering. When she’d admitted that she’d saved almost enough to send for her family, he’d promised to find work for her father and four siblings. And just this morning, a little more ciphering told Bridget that in six months, maybe eight, she’d finally have what she needed to bring them here from Ireland. If that didn’t put her in a chatty mood, a wedding was sure to do it! “Seems our gal here know as much about the Good Book as anyone,” Matilda said. Bridget remembered another day, not long after her arrival at Magnolia Grange, when Mr. Auburn had invited her to join the family in prayer. “How many times must I tell you, Bridget McKenna,” he’d thundered, “that it’s not a sin to read the Scriptures!” He’d picked up the large, leather-bound Bible and opened it for the household’s morning devotions. On the other side of the big, wooden table, Bridget had begun to weep. It had been Drewry, the children’s nanny, who had passed her a lace-edged hanky. “Because the Lord Jesus Himself said, ‘Man shall not live by bread alone, but by every word that proceedeth out of the mouth of God.’ “You see, going to church on Sunday and hearing about Jesus is but one way of growing closer to the Lord. Reading His Word for ourselves, why, there’s no better way!” And from that moment on, life at Magnolia Grange had changed for Bridget. Having access to the comfort of God’s Word was a key that unlocked a world of hope. “I have God to thank for that, too,” Drewry admitted, tugging at the long snug sleeves of her white velvet gown. With arms extended, she took a deep breath as Matilda fastened the tiny pearl buttons on each cuff. After fastening her mother’s cameo at the high, stand-up collar, Drewry picked up the bouquet fashioned of red roses, white poinsettias, and greenery from Chase’s hothouse, which he had delivered at dawn. With Matilda leading the way, the women walked down the wide, curving staircase and onto the porch. Bridget saw that Claib had parked the carriage out front. He’d polished its chassis until the enamel gleamed like a black mirror. The farmhand cut quite a dashing figure in his long-tailed morning suit, and Bridget planned to tell him so the minute they returned to the kitchen to serve the guests at the reception. Bending low at the waist, Claib swept a gloved hand in front of him. “Your carriage awaits, m’lady,” he said, mimicking Pastor Tillman’s English butler. The sounds of laughter and chatter grew louder as the buggy neared the chapel. “They’re here!” a woman shouted. “Start the music!” hollered a man. As the four-piece string ensemble began to play Beethoven’s Ninth, Drewry stood beside her Uncle James at the back of the chapel. Such a lovely bride, Bridget thought. And this little church in the woods is lovely, too. The red holly berries trimming the roof winked merrily, and a soft garland filled the air with the fresh, clean scent of pine. Massive arrangements of red and white poinsettias, along with evergreen boughs, flanked the altar, where Mr. Auburn waited alone. Bridget and Matilda, in their new store-bought frocks, stepped importantly down the aisle in time to the music and took their places in the Auburn family pew. Chase’s daughter, Sally, stepped up in front of Drewry, one hand in her basket, prepared to sprinkle rose petals along the path that her new mother’s high-topped white boots would take. Behind Sally, her brother, Sam, held the white satin pillow that cushioned the wedding band. Bridget smiled as he tugged at the collar of his shirt and smiled adoringly up at Drewry. The children love her so, and so does Mr. Auburn, Bridget thought. And it’s plain to see she loves them, too. Just then, the throbbing strains of the “Wedding March” poured from the organ’s pipes, filling the chapel as Pastor Tillman took his place at the altar. Bridget watched Chase, resplendent in his black suit, as he focused on Drewry, the object of his hopes and dreams and promises soon to be fulfilled. “I love you,” he mouthed to her. Bridget turned in her seat just in time to see the bride answer with a wink and a smile. Will I ever know love like that? she wondered, facing front again. Sighing, she felt her shoulders sag. Not likely, since all I do is work, work, work and save, save, save…. A feeling of guilt washed over Bridget, and she chastised herself for allowing such self-centered thoughts to enter her head. She had much to be grateful for, and this was Drewry and Chase’s day, after all! Still, the bride and groom’s for-our-eyes-only communication made her yearn for a love like theirs—a love that reached beyond the bounds of family, binding man to woman and woman to man, cloaking them in trust, friendship, and companionship forever. A chilly wind blew through the chapel, making Bridget shiver. Hugging herself, she focused on the rough-hewn cross that hung above the altar and, closing her eyes, prayed silently. Dear Lord, if it’s in Your plan, I wouldn’t mind havin’ a bit of love like that, for I’m weary of being cold and alone. Drewry’s Uncle James and his lady friend, Joy, had arrived two days earlier. In many ways, the handsome couple reminded Bridget of Chase and Drewry. Bridget and Joy had chatted while decorating the mansion. Joy, Bridget discovered, had been raised up north, near Baltimore. “Why, there’s a Baltimore, Ireland, too!” she’d said, excited at all she had in common with her new friend. Bridget hadn’t had as many opportunities to talk with Drewry’s uncle, so when she saw him during the reception, standing alone under the willow tree, she didn’t know quite how to approach him. His grief was raw and real, that much was plain to see. And she knew precisely what had destroyed his previous high-spirited mood. For as she’d been gathering plates and cups nearby, she’d overheard the conversation…. So romantic! Bridget had thought. She’d been taught better than to eavesdrop, but if she’d made any attempt to move just then, she would have alerted them to her presence, and what if that destroyed the whole mood? Then Joy had blinked, swallowed hard, and stiffened her back. “I can’t, James,” she’d said. Then, snatching back her hand, she’d lifted the billowing blue satin of her skirt and raced across the lawn to the house. Without looking up, James shook his head. But he only shook his head again. The way he climbed the steps, Bridget couldn’t help but picture the tin soldiers lined up on the shelf at McDoogle’s Store back home. The poor man had found the woman he wanted to spend the rest of his days with, and her refusal had broken his spirit. Surely, Joy had a good reason for saying no, but that didn’t stop Bridget from feeling sorry for him. Yet the moment he looked into her eyes to deliver his rebuttal, Lance’s ire abated. She was perhaps the loveliest creature he’d ever seen, tiny and feminine and just scrappy enough to be reckoned with. A mass of shining brick-red waves framed her heart-shaped face, and even after a long day of tending to and tidying up after wedding guests, her milky skin glowed with healthy radiance, making the pale freckles sprinkling her nose even more noticeable. And those eyes! He’d seen her before, both up close and from a distance. Why hadn’t he noticed how large and thickly lashed they were? “You were, and you still are,” she interrupted him, crossing her arms over her chest as she lifted her chin. If he didn’t know better, he’d say she was daring him to disagree! Lance had no earthly idea where the thought came from, but, suddenly, he wanted nothing more than to grasp the narrow shoulders she’d thrown back in defiance and kiss her square on those full, pink lips. Sweet Jesus, he prayed, keep me true to my vow…. By the time she set the tall goblet of lemonade near the tines of his fork, he was all but scowling. “It’s been my experience,” he began, “that women don’t need a reason to be cruel.” He sat up straighter and feigned a dainty pose. “You’re such a darling man,” he sighed in a high-pitched falsetto. “Is that your heart?” he asked, pointing a dainty finger at his imaginary tablemate’s chest. Then, his hand formed an ugly claw as he pretended to tear into the invisible man’s rib cage. “I’ve got it!” he all but shouted, pretending to stuff it into his mouth. In place of an answer, Lance only shrugged. “I’m sure,” he said with a grin. And for the next hour, she held him spellbound with her tale. Sale! 8% OFF with a Free Bonus!